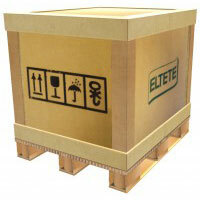 Extra strong cardboard pallet - tested and designed for the most demanding conditions. The secret strength of Eltete Appa® Cardboard Pallets lies in pallet rate made of laminated cardboard - PallRuns® and flat top panels that are carefully selected for any application. 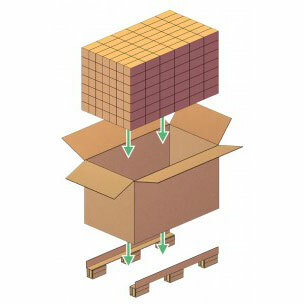 Resistance to pressure, hits, moisture and pull-back stability are a class for themselves compared to other solutions of cardboard pallets. 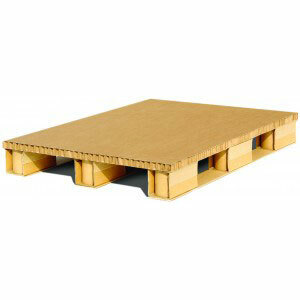 APPA cardboard pallette is an excellent alternative to wood, plastic or other pallets. Thanks to its low weight you will achieve significant savings in transportation costs both in land and air transport. 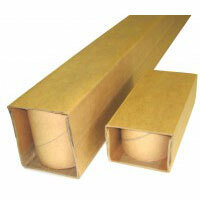 APPA carton pallets are ideal for export shipments because they are compatible with ISPM-15 requirements. 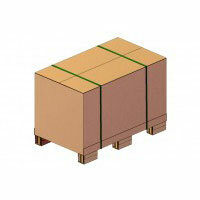 There is no need for thermal treatment as needed for wooden pallets. 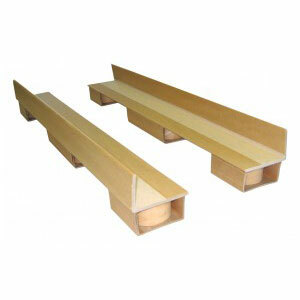 Different heights and dimensions are an option that allows maximum space utilization, which allows you to load more. APPA® cardboard pallets have been tested in the Innventia laboratories, the world leader in R&D (research and development) in the field of cellulose and paper and packaging.